This is Linux Mint 12, codename Lisa. 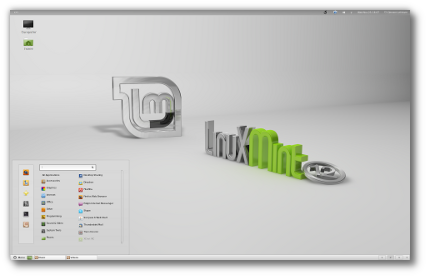 Linux Mint 12 introduces two new desktops. Make sure to read the tips and tricks for Linux Mint 12. MATE is at a really early stage of its development and isn't stable yet. It was included in this release to gather more feedback and help it get the maturity it deserves. If the MATE panel doesn't appear after you log in, switch to another theme. MATE has compatibility issues with Murrine-based themes under Ubuntu and Linux Mint. You cannot run MATE from the live session. Once the system is installed you can try to run it by selecting "MATE" as your session at the login screen. After installing Linux Mint with mint4win, the boot process might hang and you might see an error message saying "prefix is not set". Ignore this message and wait for a few minutes for the boot process to continue. Moonlight was removed from Linux Mint because of a bug that made Firefox crash. The bug was fixed upstream and you can install the Moonlight plugin from the project's website. 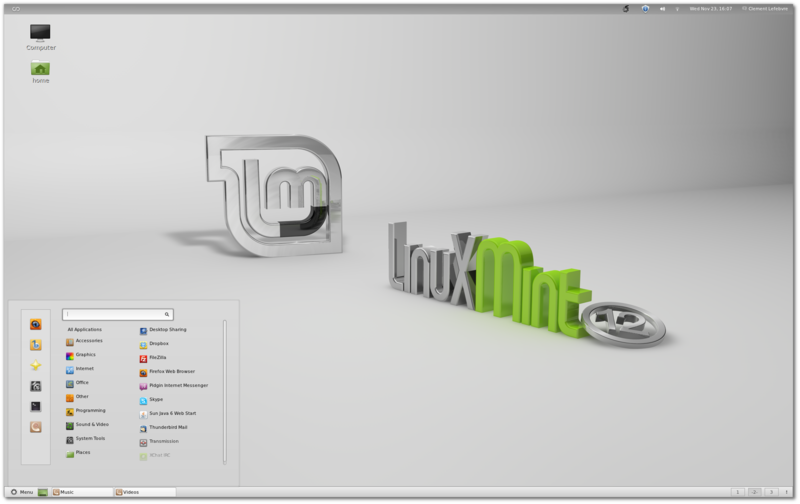 Linux Mint 12 is based on Ubuntu 11.10. Make sure to read the Ubuntu release notes. The overlay scrollbars were removed in Linux Mint 12. You can activate them by installing the "overlay-scrollbar" and "liboverlay-scrollbar-0.1-0" packages and by restarting your computer. In Linux Mint 12 the boot splash screen is completely black. It doesn't show a logo with green dots as it used to. This is by design. Once the system is installed the boot sequence is relatively fast. The black loading sequence doesn't look out of place and it looks consistent across all computers, whatever driver you're using. If you install Linux Mint from the CD, you're missing some applications and the multimedia codecs. You can install the missing applications by clicking on "Upgrade to the DVD edition" in the welcome screen or in "Menu->Administration". And you can install the missing codecs by clicking on "Install Multimedia Codecs" in the welcome screen or in "Menu->Sound and Video". If you're planning to redistribute Linux Mint in the USA or in Japan, please use the CD image, which comes without patented technology or proprietary components. Users can use the welcome screen and the menu to reinstall these missing components easily. Mint4win, the Windows installer, cannot handle large ISO images and is only provided in the "CD No codecs" version of Linux Mint.